Come check out Wilmington homes and find a city steeped in history, with a lively and active culture. Visit the city’s National Historic Register District to see examples of classical architecture, antebellum homes, and several distinguished churches. The Battleship North Carolina is moored in the harbor, a refurbished World War II ship. For those who love the outdoors, Wilmington real estate offers many recreation opportunities. The city maintains an extensive park system, with many playgrounds and picnic areas, a dog park, and places to fish, canoe, and kayak. 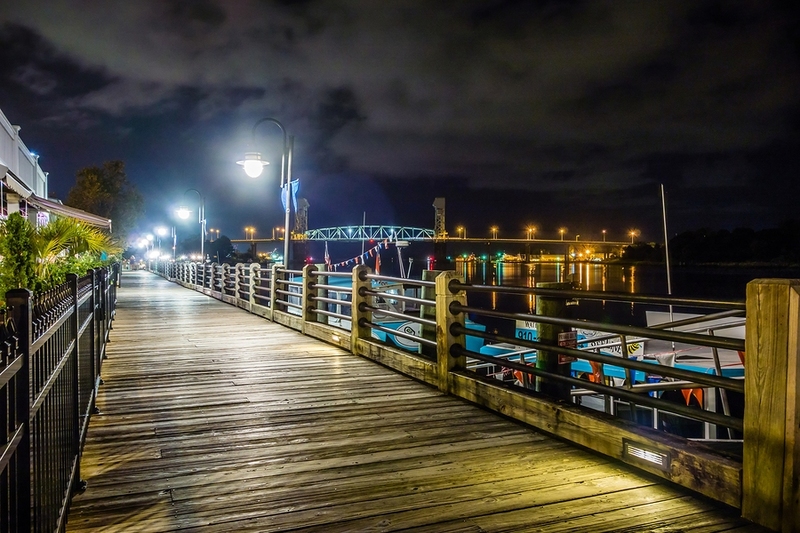 Don’t miss Riverfront Park in downtown, which goes along Cape Fear River. Families considering Wilmington homes will be happy with the school options. There are many excellent public schools, along with several find private and parochial schools. Transportation around the city is easy on buses, shuttles, and a downtown trolley. Both Interstate-40 and I-140 go through the city, along with several U.S. routes and state highways. The Wilmington International Airport has commercial airline service. Several companies have their headquarters in the city, and was ranked 14 on the “Best Places for a Start-up” by Fortune Small Business Magazine. It also appeared on Forbes Magazine’s list of “Best Places for Business and Careers” in 2010. Shopping and nightlife are plentiful in downtown Wilmington, and the restaurant scene has a great variety of eateries. Many museums are located in the city. Visit the Cape Fear Museum of History & Science, many art museums, and tour historic houses, including Bellamy Mansion. Live musical performances, opera, and dance are all held throughout the year. Contact our office to schedule a visit to this wonderful city! Roanoke Coastal by Trusst Builder Group.